Ikea, the world's biggest furniture retailer, has reported record annual sales, driven by rapid growth in countries including Poland and China. Sales at the company rose to €34.2bn (£28.8bn) in the year to August. The chain opened 12 new stores, which helped total sales to rise 7.1%, but that increase was lower than the 11% growth seen in the previous 12 months. Sales at stores open for more than a year rose 5% - the same as last year. The privately-owned Swedish group said sales in Poland jumped about 20%, making the country its fastest-growing market, while Australia and Canada also performed well. Germany was still the retailer's largest market, closely followed by the United States. 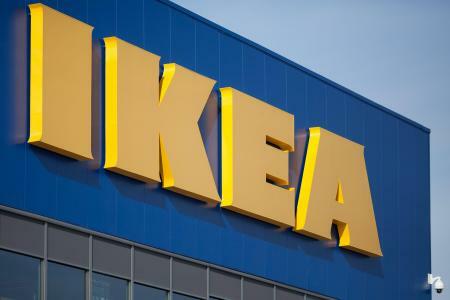 Ikea will open its first stores in India and Serbia this year and now has 340 outlets in 28 countries. However, expansion into Russia has been put on hold as Ikea seeks to solve "a number of old legal disputes". Ikea recently began offering some items online for either home delivery or collection - a departure from its traditional model of customers loading flat-pack items onto a trolley themselves. Online is taking a greater share of the UK furniture and floorcoverings market, with sales up 15% last year to account for just over 12% of expenditure, according to Verdict Retail. Earlier this year, Ikea chief executive Peter Agnefjall said he expected the company to report annual sales of €50bn by 2020.